Home › Home and Kitchen › Huji Chrome Over The Drawer / Cabinet Door Kitchen Bathroom Paper Towel Holde..
Huji Chrome Over The Drawer / Cabinet Door Kitchen Bathroom Paper Towel Holde..
Great space saver paper towel holder fits over a cabinet door, keeping paper towels easily accessible, off the counter and out of sight. Bracket's inside width is Aprox. 0.9" & easily slides over standard cabinet doors or drawers. Requires no tools or installation; Sturdy construction with elegant chrome finish. 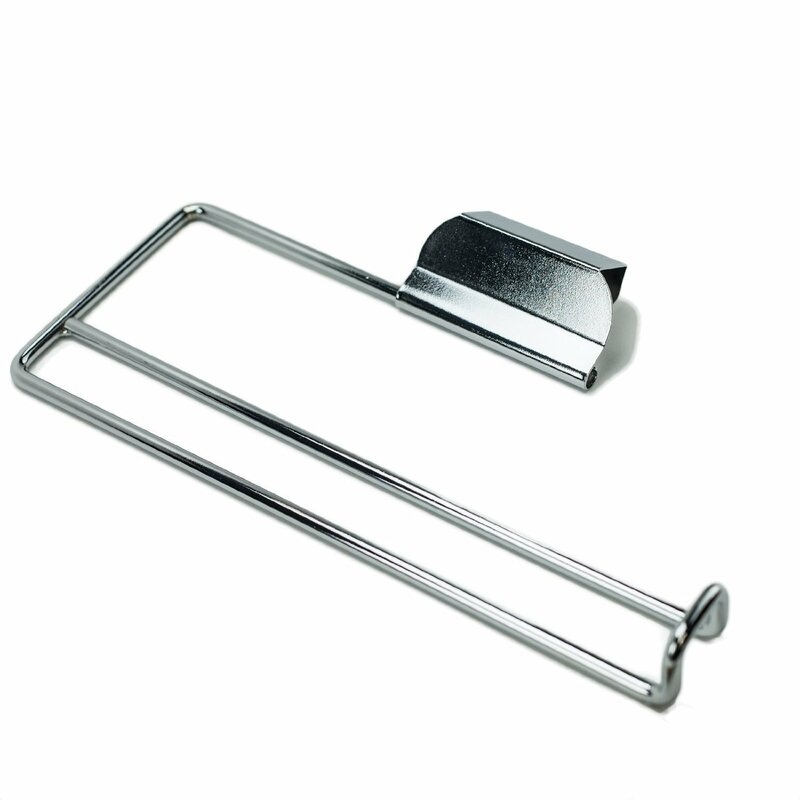 Package Quantity:1 | Color:Chrome Maximize your counter-top space with thishigh quality towel paper holder that fits over a cabinet door or over adrawer. The sturdy design provides easy access while keeping your paper towelsoff the counter and out of sight. Streamlined functionality to any storagecabinet around the home: kitchen, laundry room or bathroom.